Effie told Harry about the final preparations for the move, while he answered her recent letters and made one request of her. The University Archives at Hamline University collects and preserves university records, publications, photographs, audio recording, moving images, artifacts, and other materials from the university’s early days in Red Wing to its present in Saint Paul, Minnesota. 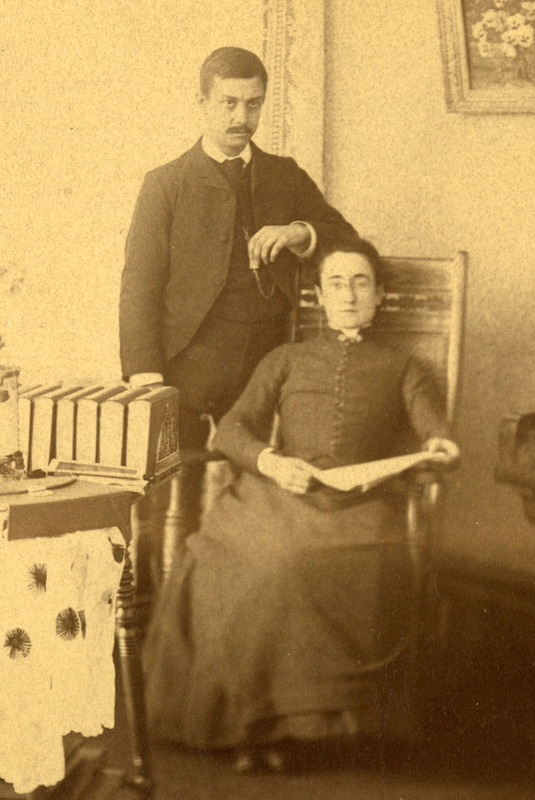 The Henry L. Osborn and Family Papers are owned by Hamline University and may not be published or extensively quoted without the written consent of the Hamline University Archives (Hamline University, 1536 Hewitt Avenue, Saint Paul, MN 55104; 651-523-2080; archives@hamline.edu). Harry wrote a love letter today. Effie’s first letter covered her search for fabric for Harry’s wedding suit and his sisters’ (Sue and Carrie) trip to the City. In the second, she wrote about their wedding trip. Effie was even more busy with preparation for moving. She had more hope that the process would go smoothly because the attitude of the current tenant had changed. Harry’s first letter was devoted to their current misunderstanding. In the second, he wrote about fabric, Fasciolaria, wedding presents and their plans when he was back in the East. Harry rued sending the letter that had stirred Effie up. In his second letter, he let her know Bermuda was out for their honeymoon and he told her a story about locking himself out of his room. Effie wrote mainly about her feelings for Harry’s sister Sue. Effie wrote more about choosing the fabric for Harry’s wedding suit and told him about a gift and an invitation. Effie confessed to having written a letter the day before that she determined not to send to Harry. Although he imagined her enjoying music on this Easter Sunday, she was not in the best mood for it. Harry wrote about their upcoming reunion, where they should honeymoon, and his relationship with his family. Zerse’s Drug Store was operated by Otto G. Zerse, who taught at Purdue and boarded with Harry at Mrs. Stockton’s. Today Harry provided some details about life at Purdue and his evaluation of the Hoosier mindset. Although he was afraid it might be indelicate, he told Effie about a prank aimed at Miss Wee. Preparation for the move continued but Effie was looking forward to some rest while she had company. Harry was worried about how Effie would react to his thoughts on their wedding trip. Effie made time from packing to write about Harry’s treatment by Purdue and to let him know which fabric she preferred.